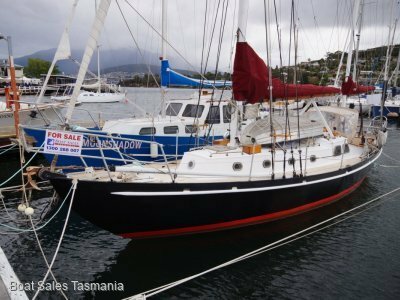 AU $57,750	Huge price reduction Need Finance? Seaport Marina, Launceston TAS	Need Insurance? 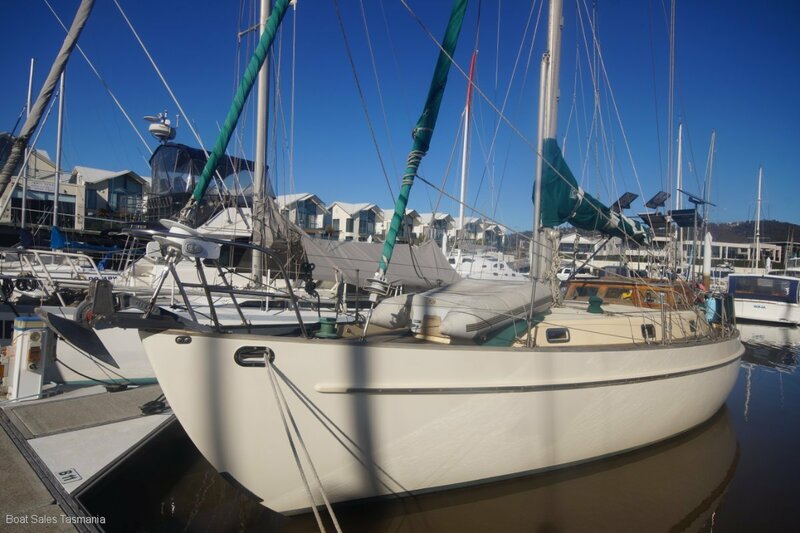 AU $57,750	Huge price reduction Need Finance? Need Insurance? 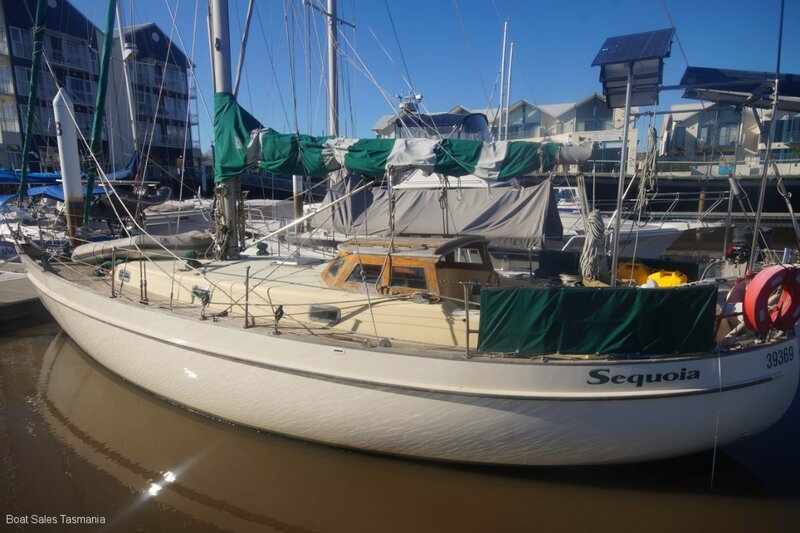 Description: Swanson 38 Sloop "Sequoia"
MUST SELL. OWNER HAS MOVED INTERSTATE. "Sequoia" is the original Swanson 38. 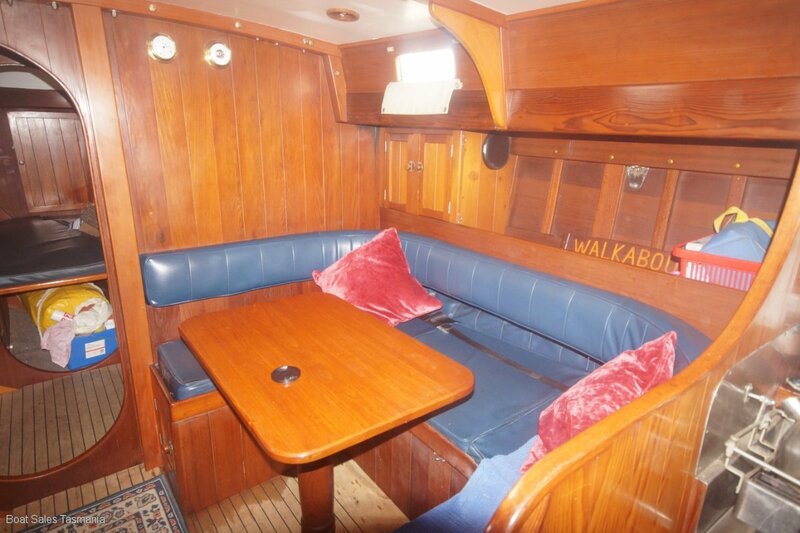 She was designed and built by (and for) Ron Swanson, his retirement yacht. 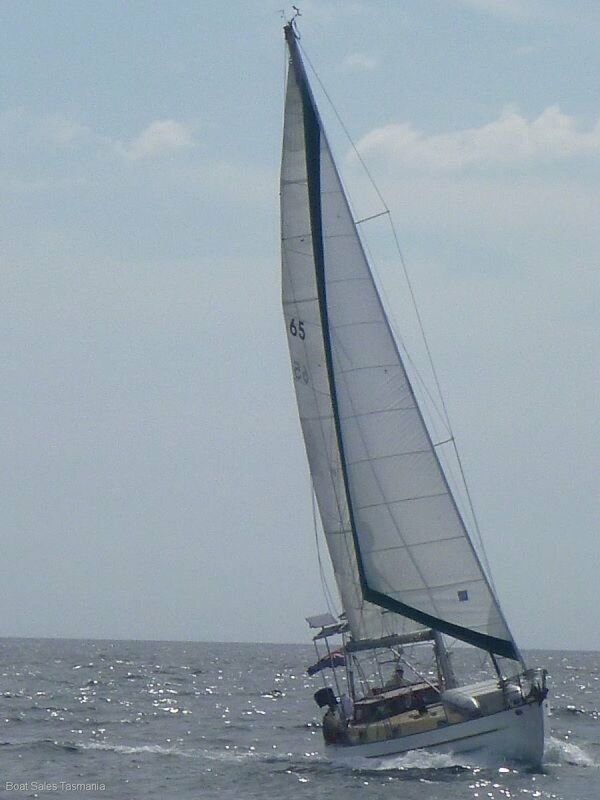 She is a legendary ocean-capable vessel. 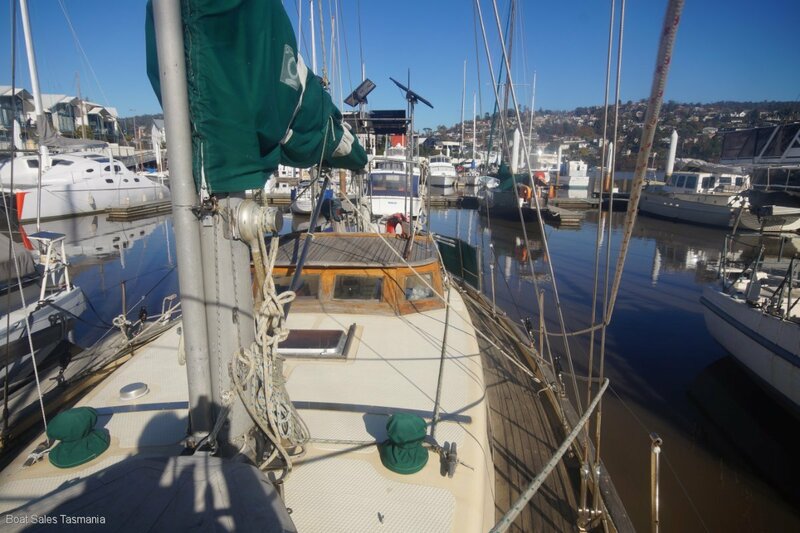 The hull is cold-moulded in Californian Redwood (The hull is sheathed, topsides dynel and bottom uni-directional glass). 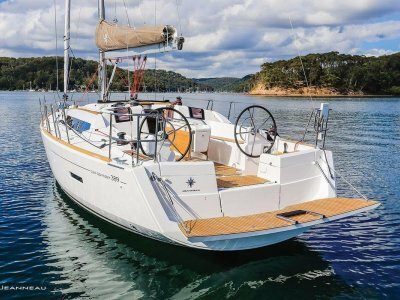 Below deck, the craftsman cedar fit-out delivers an ambiance of cosy comfort. The coach house is solid teak. 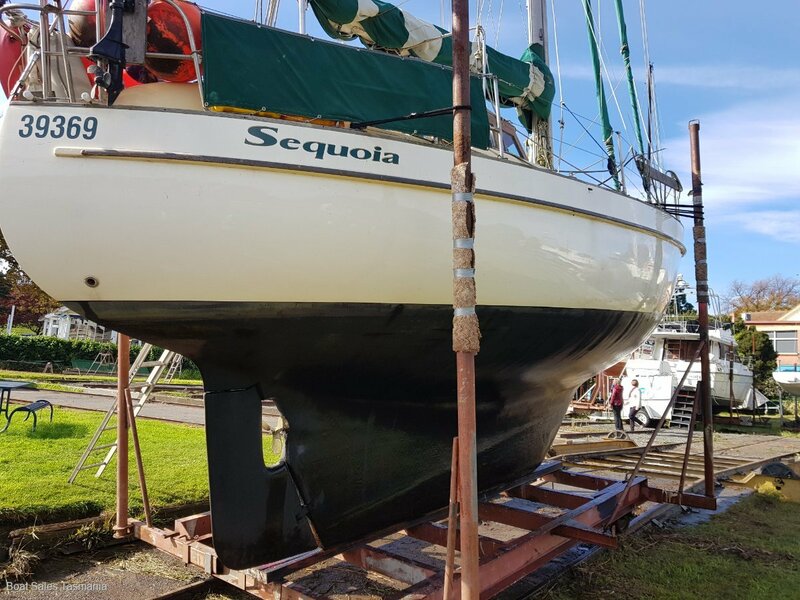 "Sequoia" is immensely strong and heavily rigged with a 5-tonne keel, all the specifications of a true blue water cruising yacht. 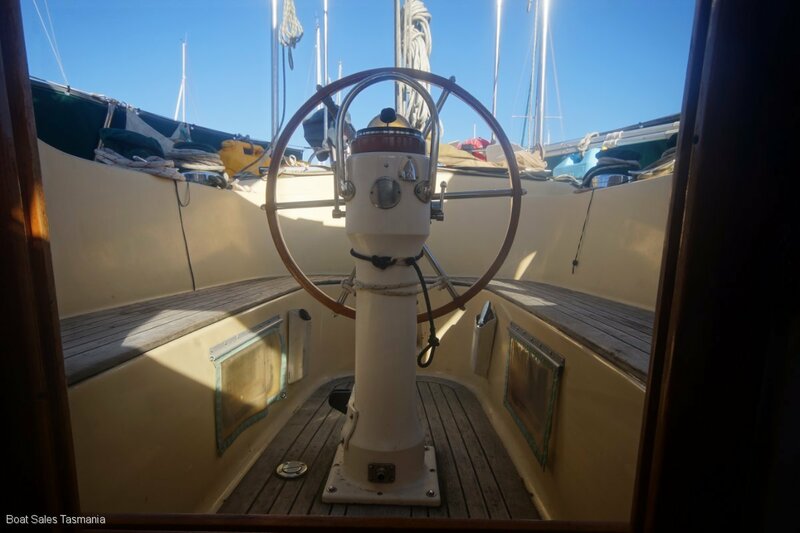 All this and she sails efficiently and is easy to handle by a small crew. 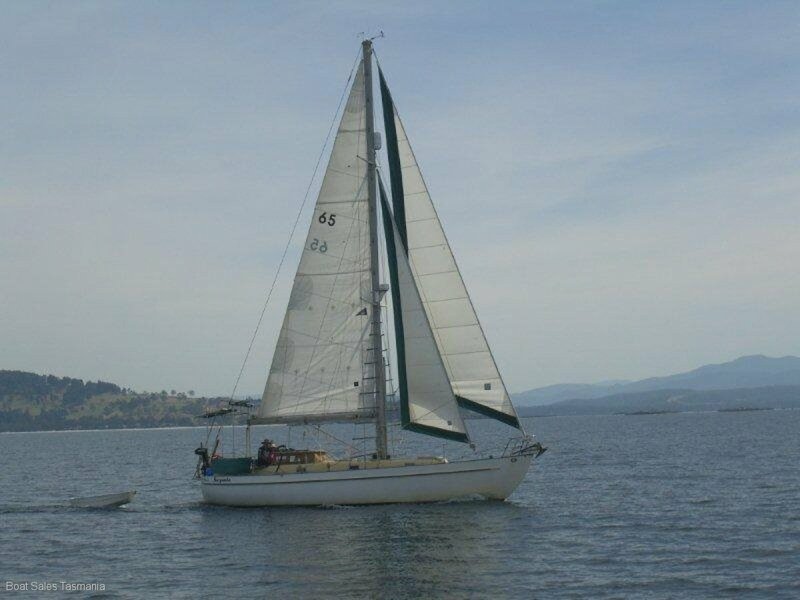 "Sequoia" is ready for you to step aboard and go cruising. 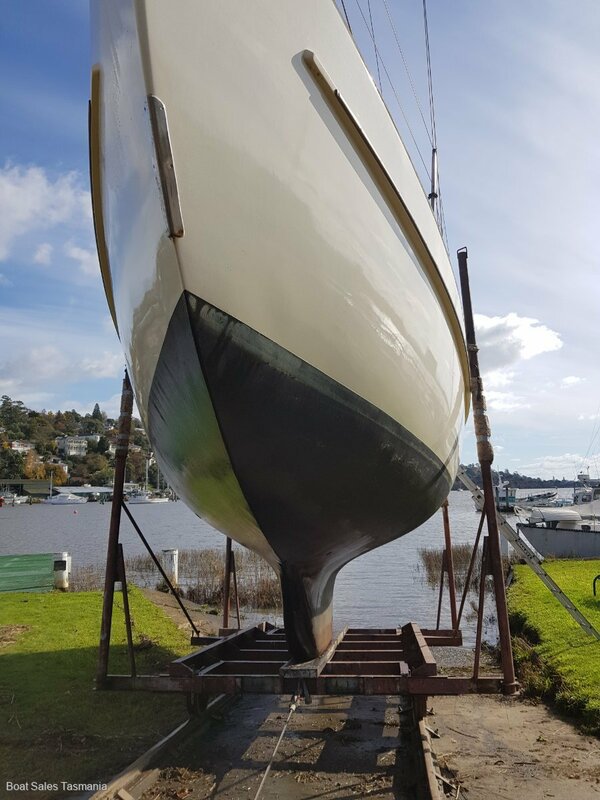 Under current ownership, the yacht has undergone extensive maintenance (and upgrades) including a total repaint of hull and bottom and rig removal and refurbishment. 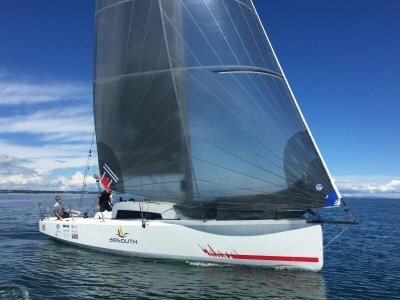 Long integrated cruising keel with 5 tonne cast lead ballast. 300 litres in two tanks. 320 litres in 4 tanks. 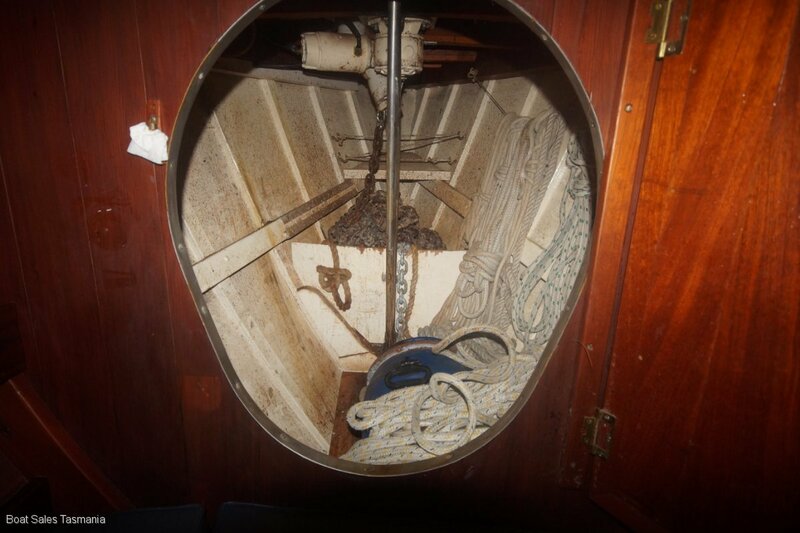 The cockpit is deep and well sheltered with plenty of coach house roof overhang. Below and to port is the navigation station. 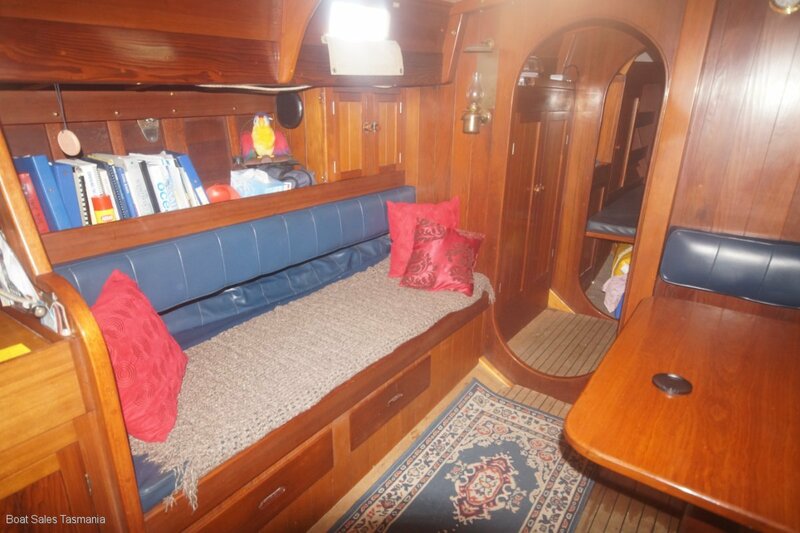 Aft is a pilot berth and passage to a small stern cabin/lazarette. Currently used as an equipment store, there is a single berth. 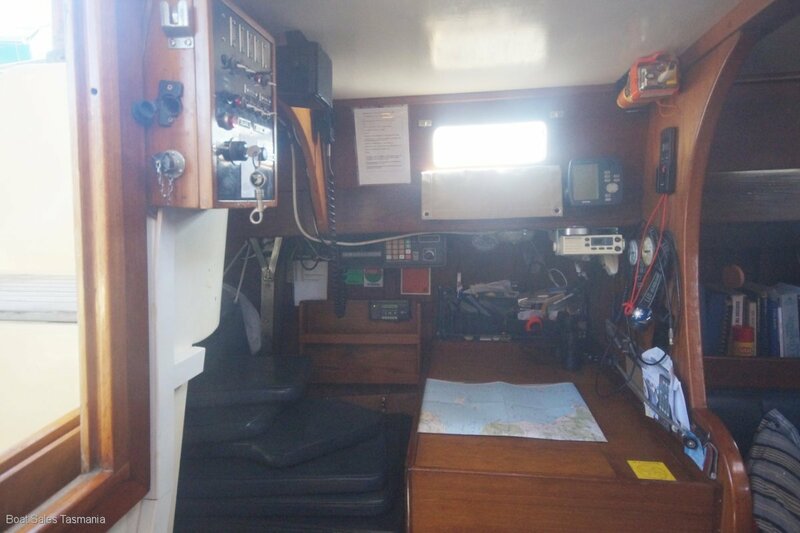 The galley is opposite the nav. Station. 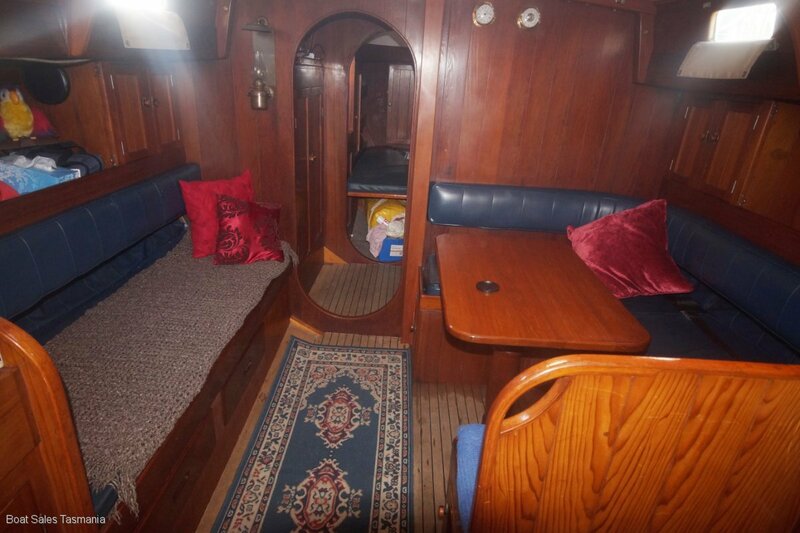 Forward is the saloon proper with dinette to starboard and a settee/occasional berth opposite. Forward is the passage to the forward cabin. 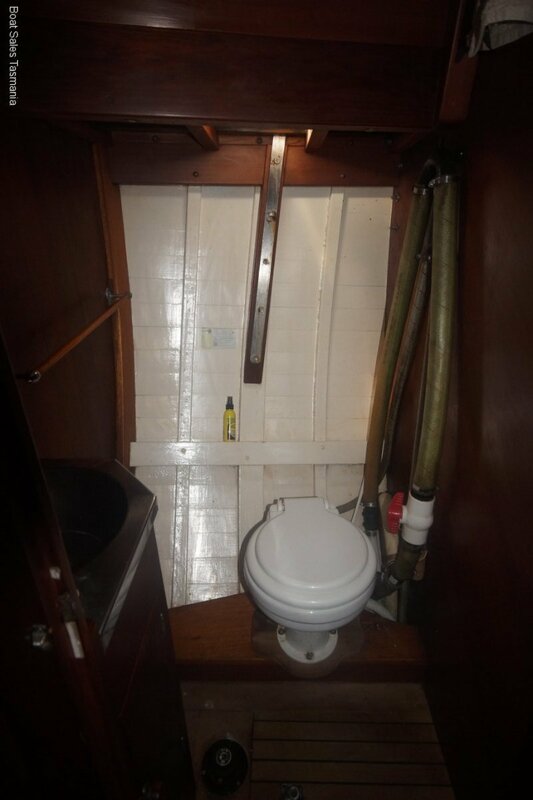 The private head (bathroom is to starboard). 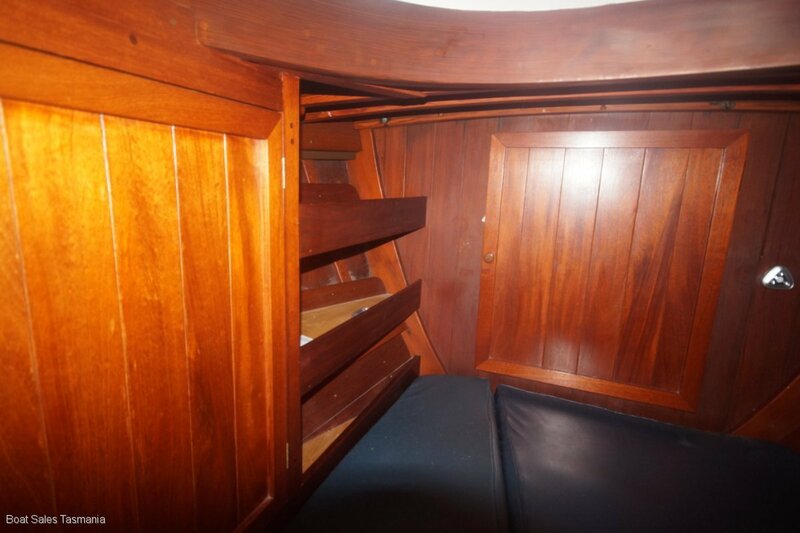 The forward cabin offers a generous double berth with hanging lockers and under storage. The chain locker is accessed forward of this berth. 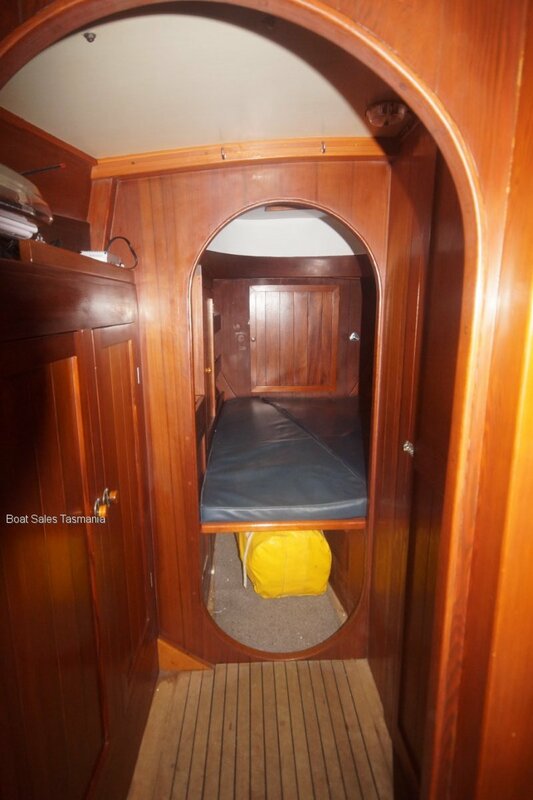 The U shaped galley is a simple but practical sea galley. The stove is a Maxie 3 x burner metho gas hob. 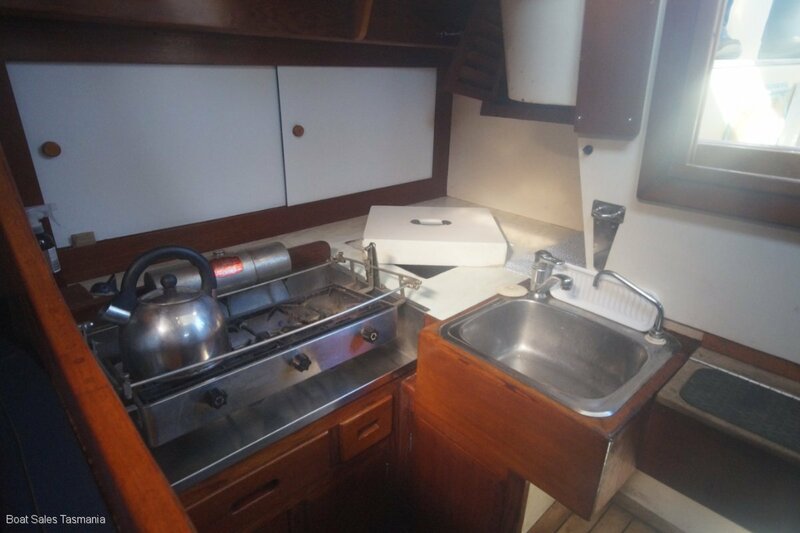 The deep stainless steel sink has a pressure cold water tap and a manual seawater pump tap. The large Danfoss fridge/freezer was installed new in 2012. 60 metres x 3/8" chain. 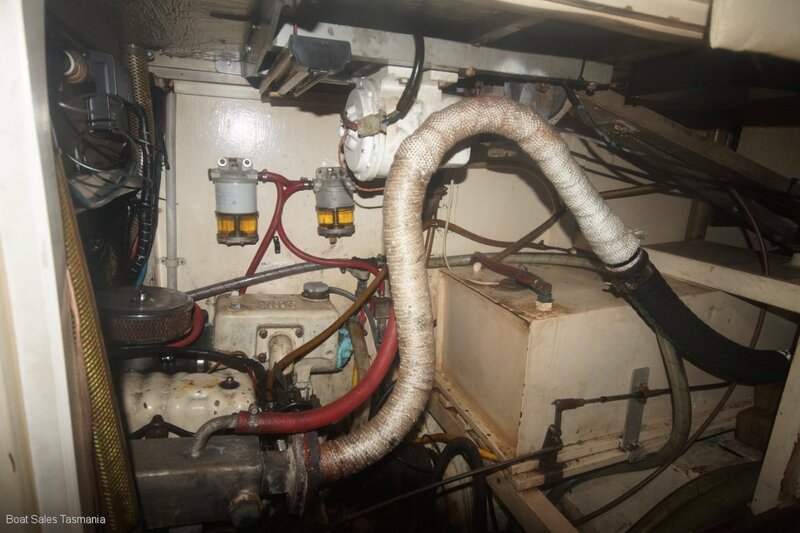 2 x Rule with float switch (hardwired), Manual Whale Mk2 Gusher plus bilge alarm. Cutter rig. 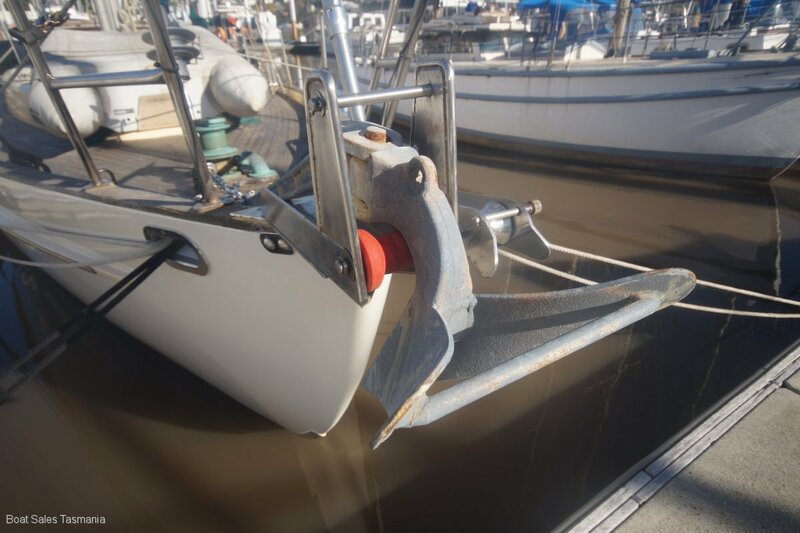 All sails are in good condition. 1 x 19 SS wire rigging. 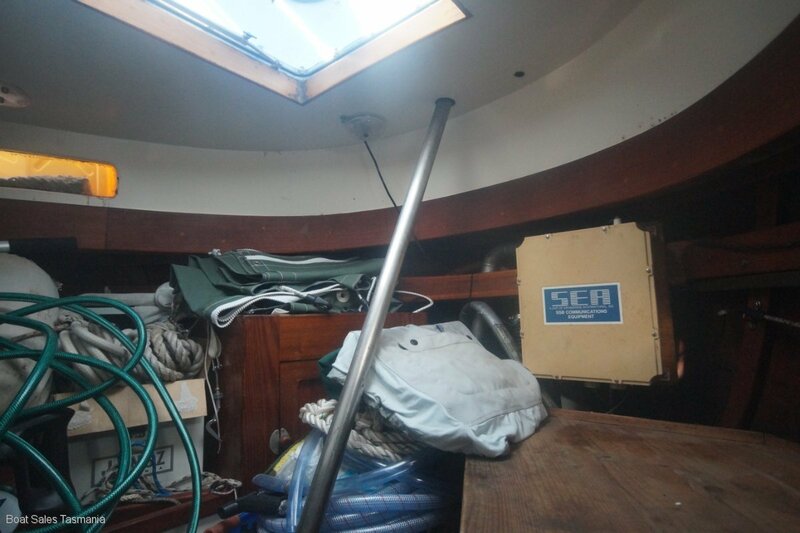 Note: In November 2015 Almast's unstepped and refurbished the mast. 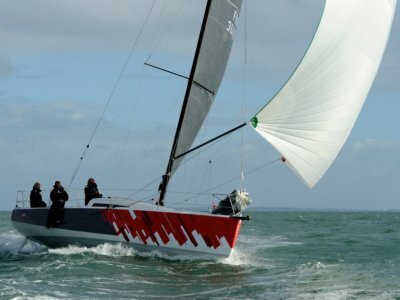 The following was renewed: Conduit, wiring, lights, lower shrouds, mast stairs, forestay, cap shrouds, intermediate chainplates. See the full report PDF herewith. all sprayed. The bottom was re-sprayed again in 2015. 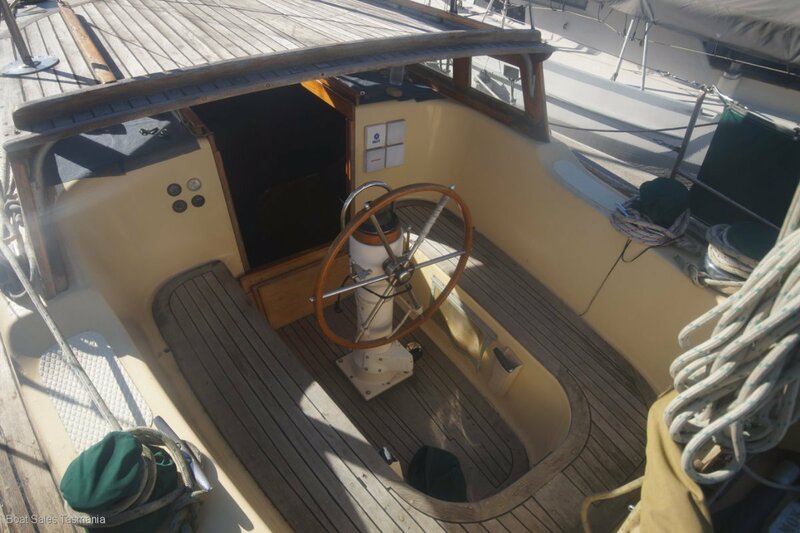 *All beech deck sanded and fully recaulked. * 3 new batteries installed (1 crank and 2 house). 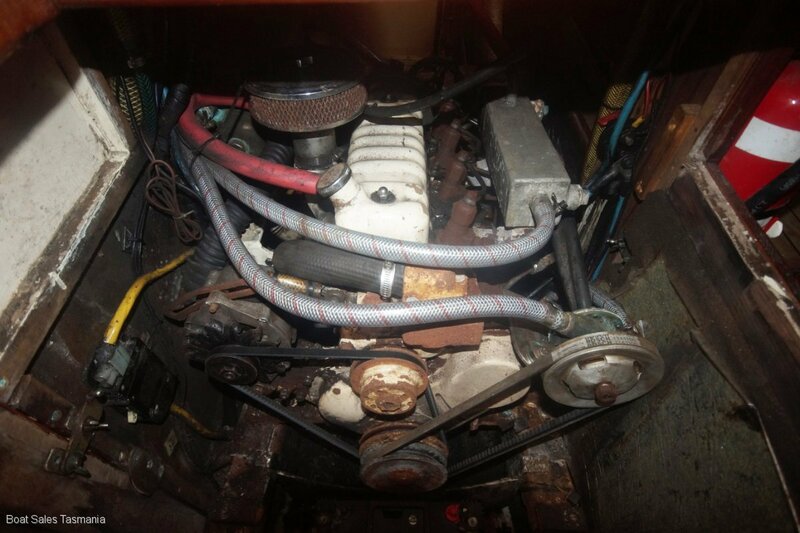 * 85a/H alternator removed and refurbished. 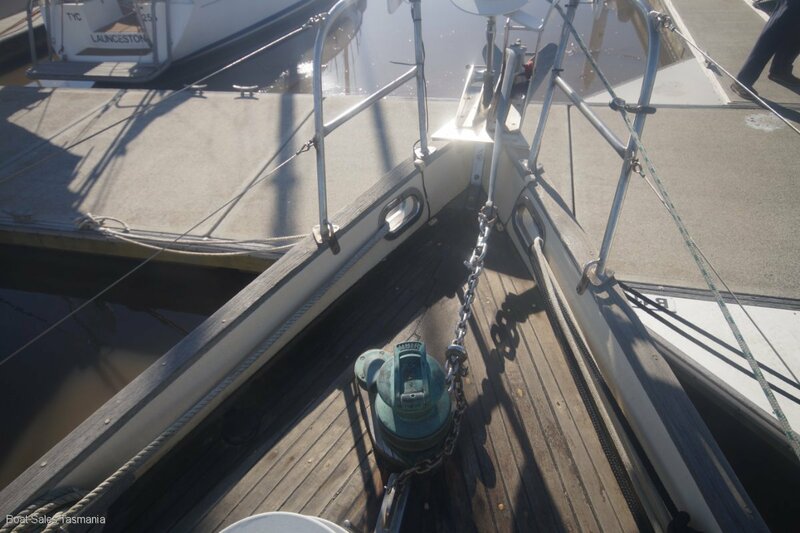 * Anchor winch deck foot switch replaced.